There is a firm relationship between omega 3 and inflammation of the joints. Clinical studies have proven that omega 3 from fish oils can help reduce pain and give your joints relief. 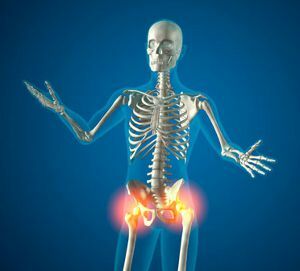 The reason for most joint pain comes back to inflammation, even for conditions such as arthritis. The membrane that lubricates and protects your joints gets inflamed, which leads to swelling and pain. The result – you end up with difficulty moving around. Now joints take a lot of punishment throughout our fairly long lives. So once they become inflamed, the prognosis is never that good, they just aren’t going to get better by doing nothing. So How Can Omega 3 Relieve Joint Pain? It simply comes back to inflammation once again. Omega 3, and in particular the omega 3 that comes from fish, has been proven to reduce inflammation. All different kinds of inflammation too. It’s the omega 3 from fish that’s most important because the right kind of fish oil is high in EPA and DHA. And it’s these clever essential fatty acids that have some amazing anti-inflammatory properties. Which they achieve by stimulating production of compounds called eicosanoids – compounds that reduce inflammation and provide joint relief. Omega 3 can also generally help prevent tissue and cartilage deterioration. It help joints by slowing or even halting deterioration of cartilage, particularly valuable for sufferers of osteoarthritis. The more traditional approach to treating joint pain and athritis is to prescribe pain killers and anti-inflammatories. Don’t get me wrong, these do of course work and should never be given up without discussion with your doctor! But they do come with side effects. Some of which can be pretty severe when they are taken over long periods of time. Personally, I think it’s worth trying out the more natural approach that comes without the risky side effects. After all, humans have been eating fish for thousands of years. How Much Omega 3 Do You Need For Joint Relief? Can you get enough just eating fish a couple of times a week? Very unlikely I’m afraid, even if you eat the best omega three fatty acid foods. And unfortunately we can no longer just eat fish everyday either! Because of real concerns over the danger of mercury in fish oils from our polluted oceans, we are advised to limit ourselves to just 2 portions of oily fish per week! So for joint relief and reduction of inflammation, studies have shown we really need between 1 and 3 grams of fish oil every day. And realistically the only way to get that quantity is to take a daily supplement. The amount will vary from person to person, and with the quality of the oils too. Here’s my quick check list to make sure you’re getting the best value for your money. It’s a simple list, but it makes a huge difference. If you want to try out the supplement I use, then give these guys a try. They meet all of my requirements, and give great service and fast delivery too.